Having dry skin isn’t fun in any form. The various symptoms, associated with the condition include itching, redness, uneven texture and take a serious toll on sufferers’ self-esteem. In a survey conducted by FEMAIL, seven in ten participants agreed that having dry skin impacts their overall confidence. Dryness can be a symptom of an overactive immune response and skin conditions such as eczema and atopic dermatitis. Sore, itching skin can also be a result of a compromised protective barrier which is often caused by improper skincare regime and environmental factors such as cold weather and low humidity. Our new Hydrating Crème is a lightweight formula designed to relieve the symptoms of severely dry skin, soothe irritation and replenish skin’s natural hydration levels. It is ideal for treating moderate to severe dry skin on the face and body, including skin showing visible signs of eczema. Works in the epidermis to speed up healing and reduce the intensity and frequency of skin flare-ups. It inhibits bacteria intrusion and helps restore skin barrier functions and natural hydration levels. Stimulates cell renewal and helps regulate tissue repair. 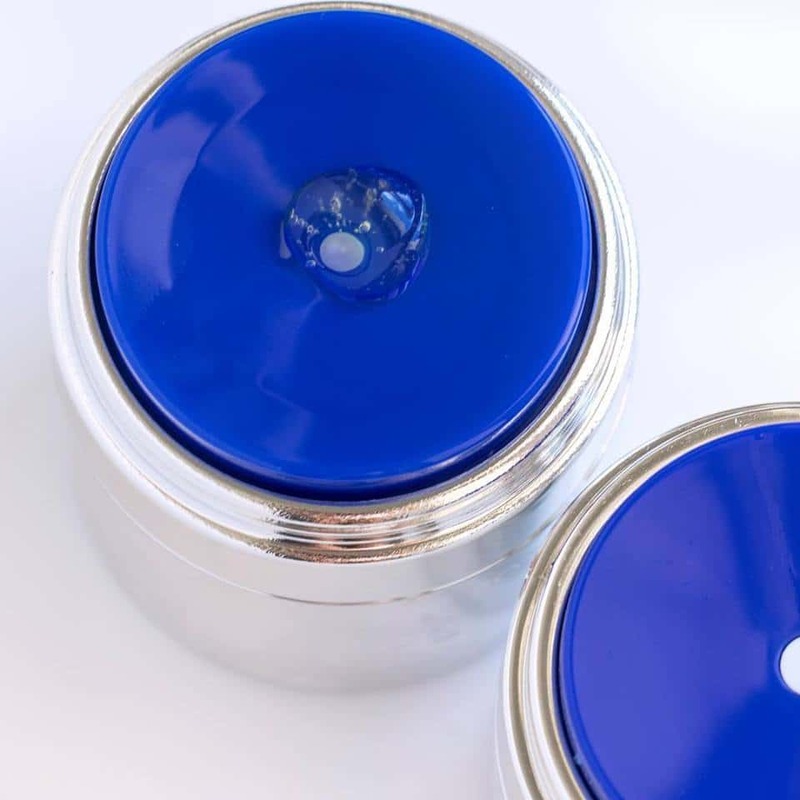 The multipeptide complex provides anti-inflammatory benefits and speeds up wound healing. 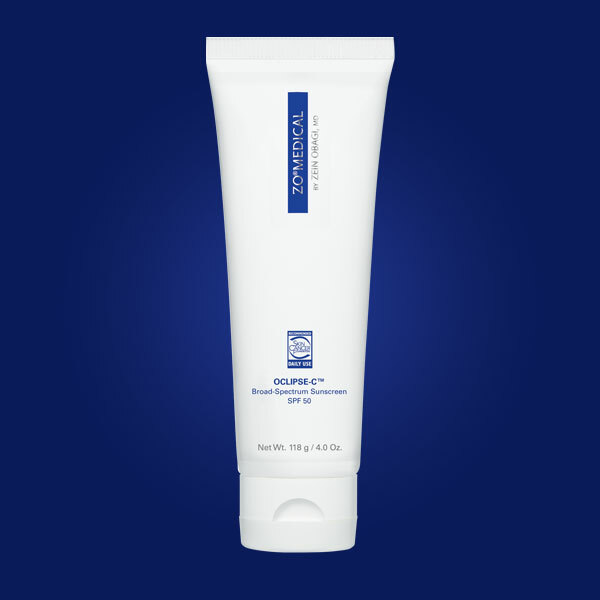 Our exclusive slow-release antioxidant complex that protects the skin from free radicals and prevents premature aging. 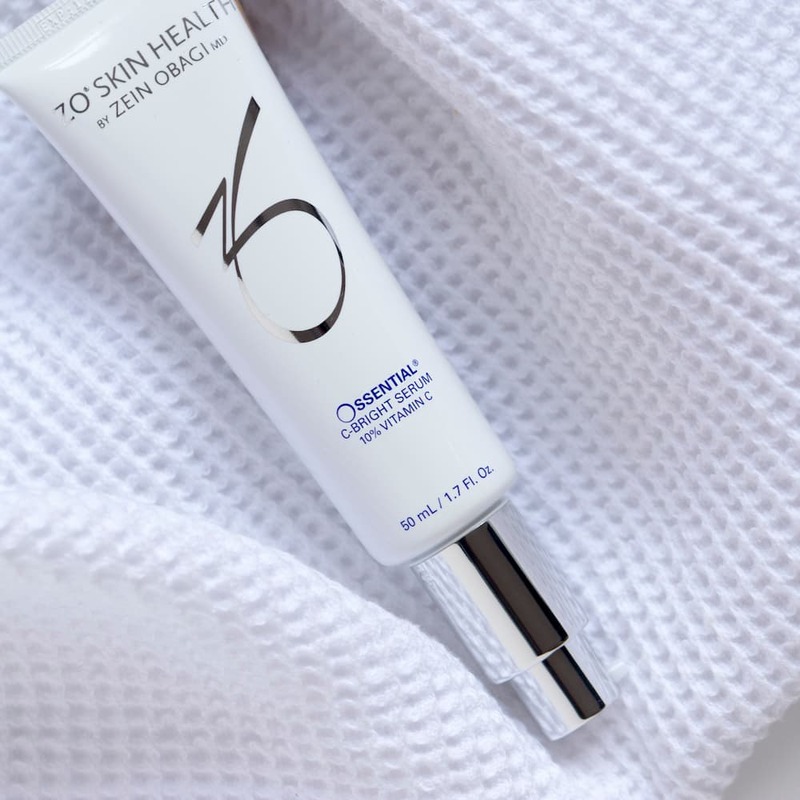 In a clinical study conducted on patients with moderate to severe eczema, Hydrating Crème was clinically proven to be effective in restoring hydration, reducing redness and improving skin texture. • 90% of participants reported a visible improvement in skin dryness by week 8. • 87% reported reduction in itching by week 8. • 85% reported reduction in redness by week 12. • 90% reported visible improvement in skin texture and smoothness. https://zo-skinhealth.co.uk/wp-content/uploads/2019/04/zo-hydration-featured--e1555514384296.jpg 667 1000 Alex https://zo-skinhealth.co.uk/wp-content/uploads/2018/05/ZO-Skin-Health-PMS072C.png Alex2019-04-17 16:23:302019-04-17 16:23:30New ZO Skin Health Hydrating Crème – Just The Thing For Dry Skin! 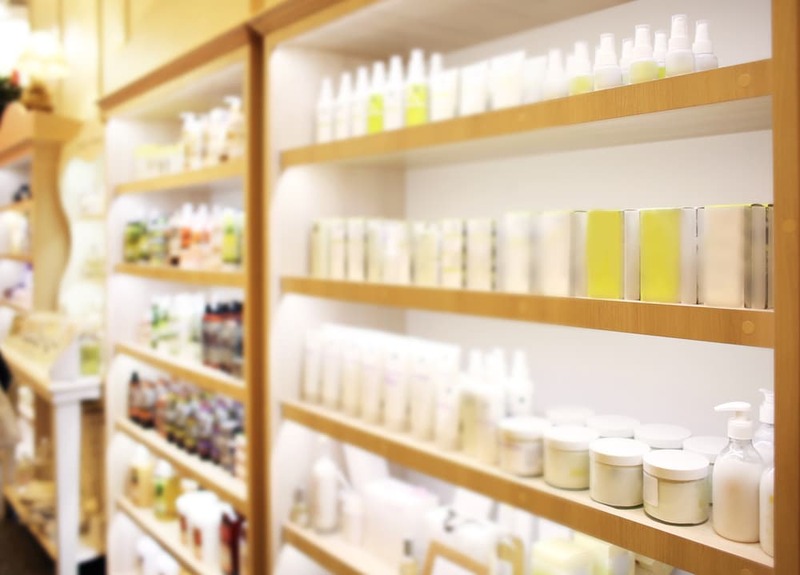 Looking for the perfect anti-ageing ingredient? Ask any skin expert for the ingredient they swear by and you will hear at least two of the following: sunscreen, retinol, antioxidants, hyaluronic acid, peptides. These are the ultimate wrinkle-fighters and radiance warriors that any skincare lover keeps in their stash. But there’s a new complexion mandate that has quietly entered the fold: growth factors. Growth factors are groups of proteins that occur naturally in our bodies. 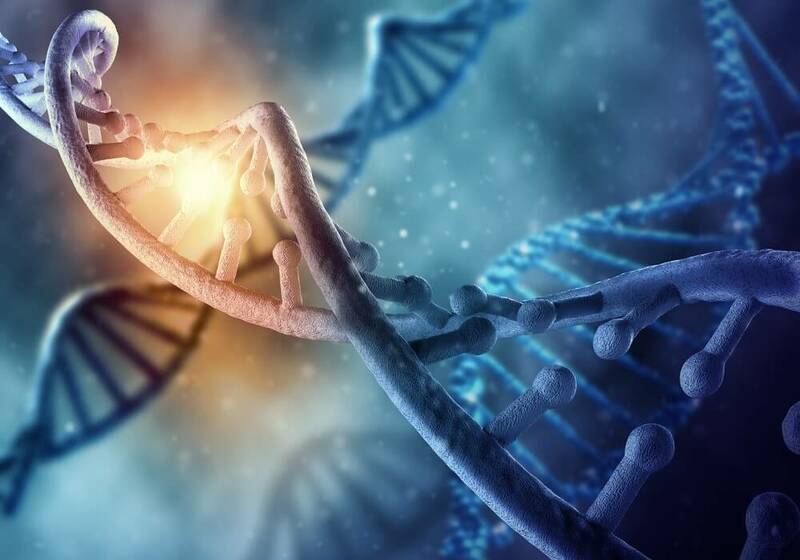 They’re produced by all types of cells and are responsible for the regulation of vital cellular functions, such as survival, proliferation, migration and differentiation. Simply put, growth factors can command your cells to replicate, repair and rejuvenate. How growth factors benefit the skin? When it comes to fighting skin ageing, growth factors are the true all-rounders. By our late 20s the natural production of growth factors in the skin starts to decline which lays the groundwork for wrinkles, sagging and skin thinning. Adding them topically through your skincare will stimulate the production of fibrous proteins such as collagen and elastin to improve skin thickness and texture. Boosting collagen production also enhances the skin’s natural ability to heal and hydrate. In a word? Yes. In our most recent study 92% of participants noticed significant improvement in fines and crow’s feet after following the simple routine of cleansing, applying Growth Factor Serum and wearing SPF every day for 12 weeks. 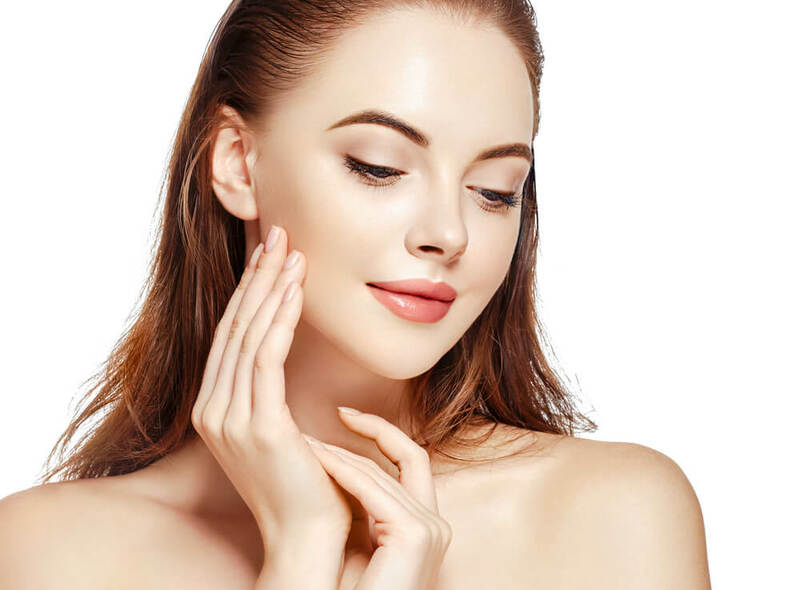 Furthermore, clinicians observed 31% improvement of skin thickness after just 4 weeks of using Growth Factor Serum in the morning and evening and PM and the number continued to increase throughout the completion of the study. Overall, 95% of participants reported visible improvement in their skin texture and smoothness, 92% reported overall improvement in all signs of ageing and 78% said their skin felt tighter and firmer. How can I incorporate them in my skincare routine? While growth factors are one of the best active ingredients for skin rejuvenation, they can’t replace the basics of your routine – sun protection, exfoliants and antioxidants. Think of them as the icing on the cake that can bolster your existing skincare regime and slow down the ageing process with much less irritation than other gold-standard ingredients such as retinol. Did you know that the sun ranks as the top trigger for rosacea flare-ups? 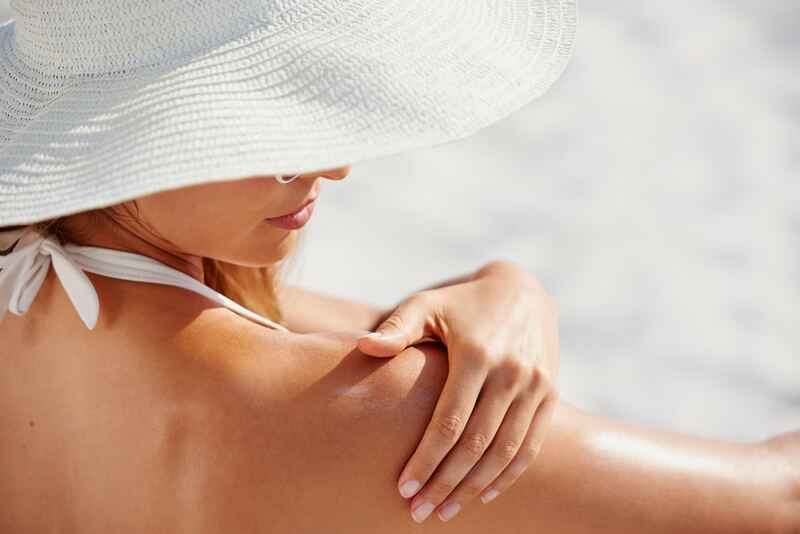 Protecting your skin from the harmful ultraviolet radiation is key not only to easing rosacea symptoms, but also to preserving your skin’s youthful appearance. 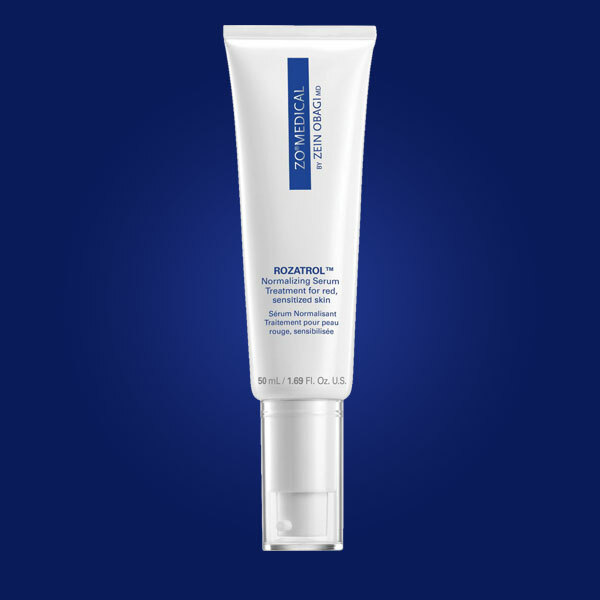 Oclipse-C™ SPF 50 is the perfect solution for sensitive, rosacea-prone skin. 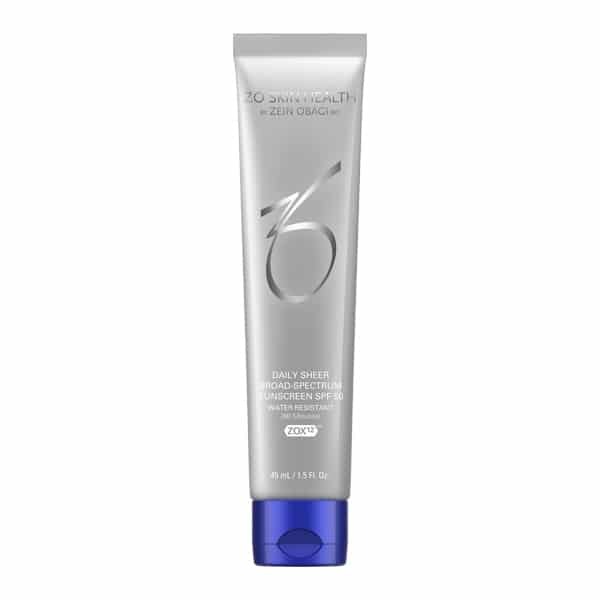 It provides a non-irritating mineral protection against UVA, UVB, HEV and IR-A rays, while its slow-release antioxidants complex supports the healthy skin barrier function. Rosacea, similar to acne, is a disease within the skin’s pilosebaceous glands, so keeping your skin free from excess sebum will also help to stave off your flare-ups. However, harsh cleansing products and abrasive exfoliators can cause further damage to your skin barrier function and irritate your skin. So, what’s the alternative? 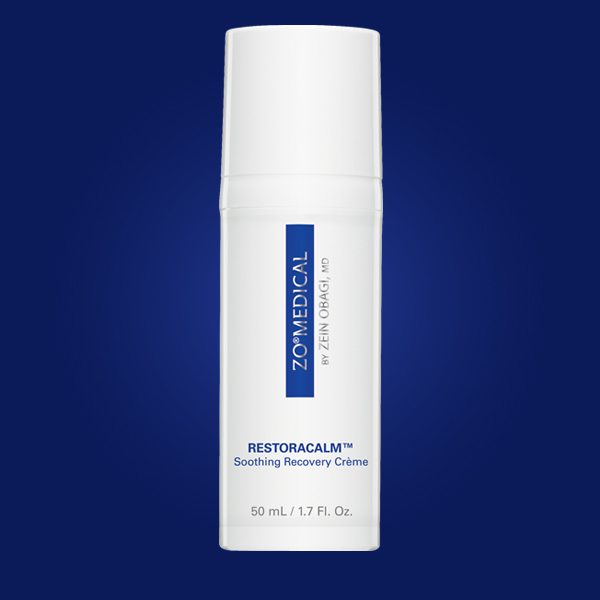 Rozatrol™ is an ultra-mild enzymatic exfoliator that cleans and prevents excess sebum production. It not only cleans your skin thoroughly but also reliefs existing redness and inflammation thanks to its amino acid complex. Rosacea disrupts the healthy functions of the skin’s protective barrier which causes the skin to lose its natural moisture and be more susceptible to environmental stressors. That is why you need to include a powerful hydrator in your routine and help your skin retain as much of its natural hydration as possible. Rosacea is a chronic inflammatory disease within the pilosebaceous glands of the skin and has nothing to do with hygiene. In fact, using harsh cleansing products and over-exfoliating your face can exacerbate your symptoms and cause further damage to your skin’s protective barrier. To keep skin clean and healthy use gentle, nutrient-rich products that are specifically formulated for rosacea-prone skin. 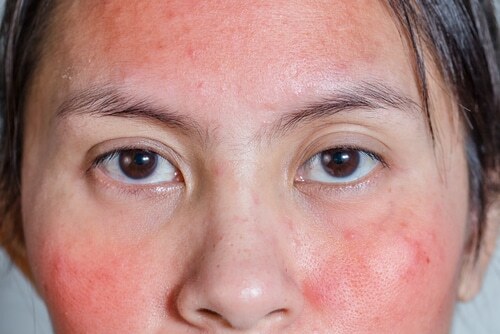 Rosacea is not an infectious disease, so you won’t catch it from coming into contact with someone else that has it. However, rosacea runs in families and people from some nationalities are more likely to develop the disorder than others. No, you don’t have to give up your morning coffee to stave off your rosacea. 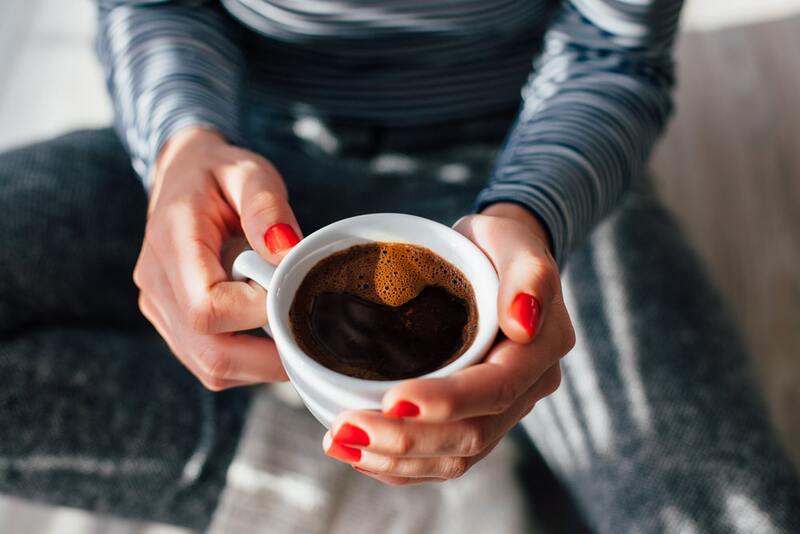 According to researchers, it isn’t the caffeine in tea and coffee that may trigger the flare-ups, but rather the heat of the beverages. Despite the common heavy drinker stereotype, someone who has never had a drink in their life can develop rosacea just as easily as someone who enjoys a nightly glass of wine. For many rosacea sufferers alcohol is a proven flare-up trigger, but it has nothing to do with the original development of the condition. No matter what “miracle solution” you’ve heard of, there is no cure for rosacea. It is possible to get your symptoms under control and prevent flare-ups, but a permanent solution does not exist (yet). 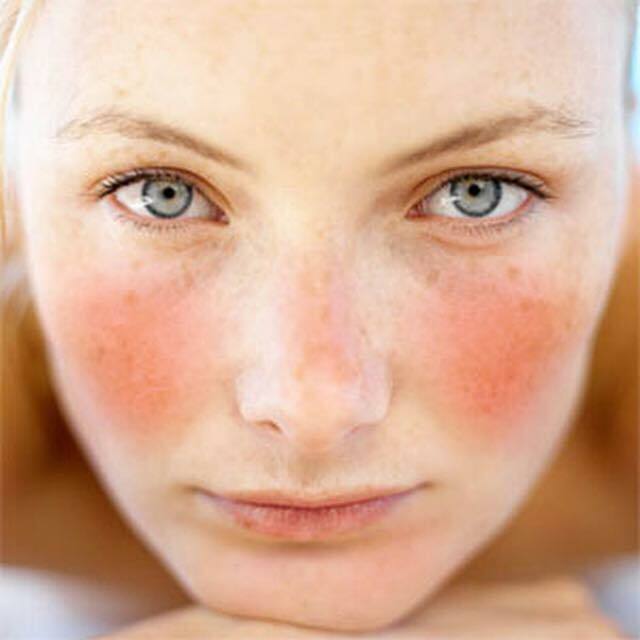 Rosacea is a chronic inflammatory disease of the skin that makes you blush more easily than other people. Other symptoms associated with rosacea include permanent redness, hot flushes, spots and thread veins. The redness usually appears on the forehead, nose and cheeks but it can also spread to the back, chest and ears. People affected by rosacea tend to have easily irritable skin and can’t tolerate a variety of skincare products. 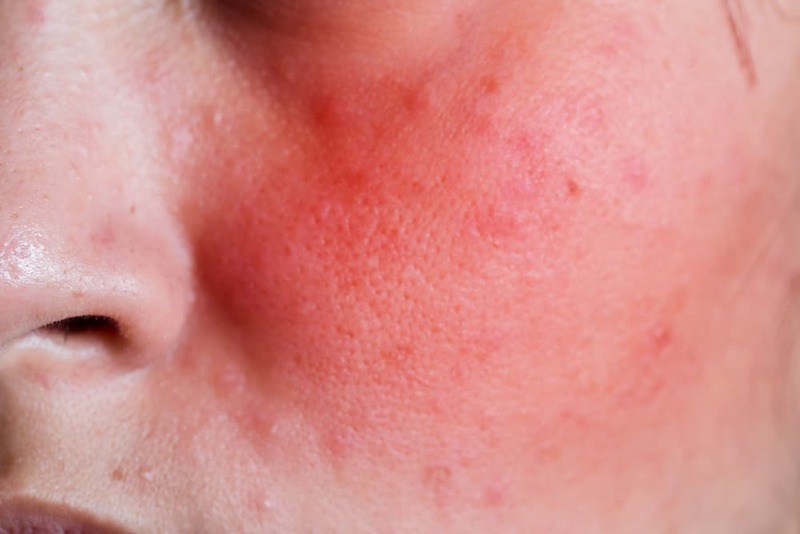 The exact cause of rosacea is currently unknown, but skin experts agree that the blood vessels within the skin of rosacea sufferers are unstable and more reactive than average, which is the reason why those who have the condition blush so easily. Rosacea can affect all skin types and all age groups, however, it is most common in people with fair skin, particularly those of English, Irish and Scottish descent. Even though rosacea usually affects adults between the ages of 30 and 50, it can also be seen in teenagers and children. Flushing–when your skin turns red for a brief period of time, usually a few minutes. Persistent redness–that looks like a sunburn or a stubborn rash. Can you cure rosacea permanently? Unfortunately, there is no permanent solution for rosacea at the moment, but you can keep your symptoms at bay by identifying your triggers and avoiding them whenever possible. A proper skincare routine can greatly help you to reduce your flare-ups and restore the healthy functions of your skin barrier. Rozatrol™ is a multi-modal normalising serum treatment that targets all visible symptoms of rosacea and provides instant relief for red, sensitised skin. Rozatrol™ is formulated with amino acids and enzymes that restore skin’s healthy vascular functions, while its oil-control complex prevents excess sebum production and replenishes skin’ hydration levels. 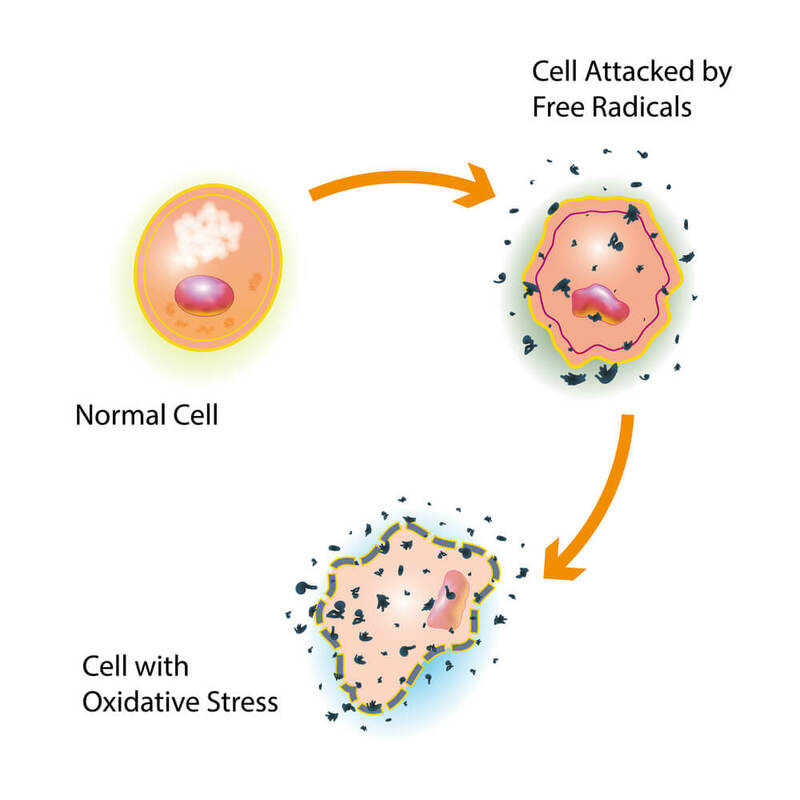 So, what exactly are free radicals? Free radicals are extra “packets” of energy, created through our natural metabolic process. We call them “free” because they are not dedicated to any particular biochemical reaction in the body. Free radicals have an unpaired electron in their outer orbital shell which makes them highly reactive and unstable molecules. They penetrate into the interior of other cells, trying to regain their missing electron, and damage whatever cell structure they strike. Why free radicals are particularly bad for the skin? More than 85% of all free radical damage in the body comes from the cells’ own metabolic process. 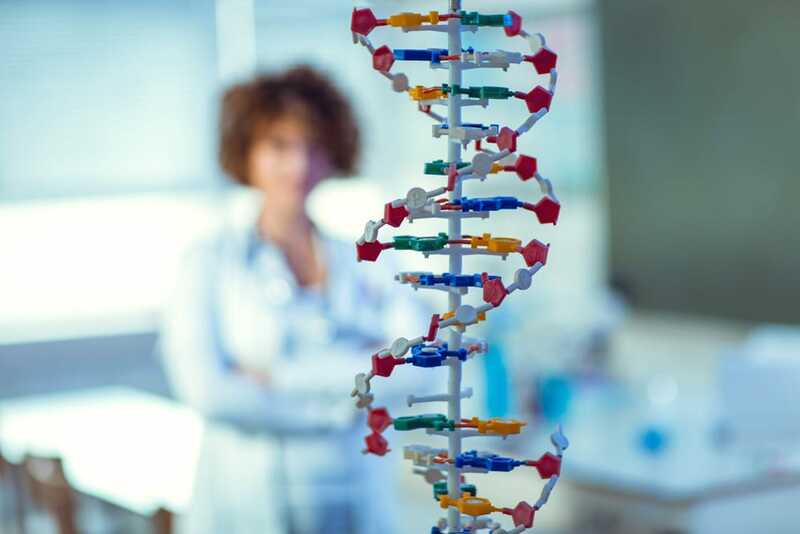 However, the skin is extremely rich in lipids, proteins and DNA which makes it a major target for unstable radicals and especially susceptible to oxidative stress. It is also the body’s first line of defense against environmental factors and as such is exposed to various external sources of free radical damage in addition to cellular metabolism. UV radiation: skin receives 80% of its free radical damage from sun radiation. The oxygen, contained in the lower levels of the epidermis, is a primary target for UV rays. When UV light waves penetrate the skin, they donate electrons to the oxygen within skin cells, creating a chain of unstable, aggressive free radical molecules. 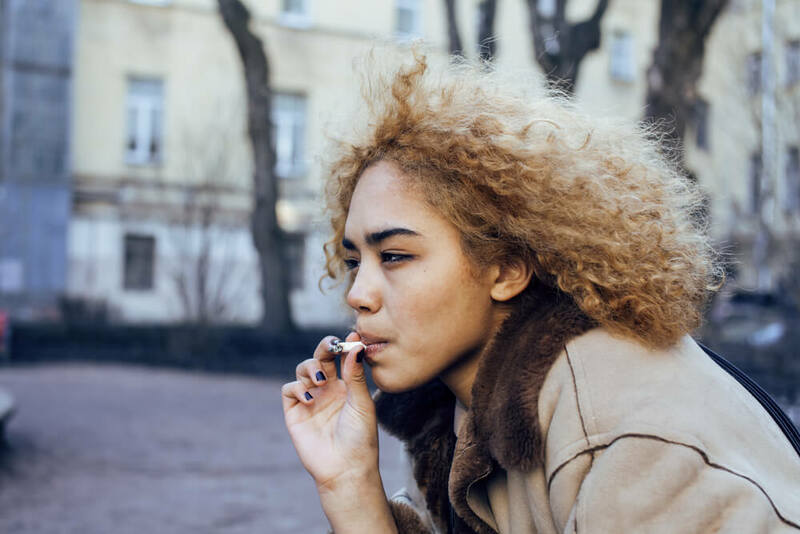 Cigarette smoke: tobacco smoke is critically damaging to all cells and tissues. With every puff, you deliver to your body more than 4 000 toxic chemicals that lead to oxidative stress. 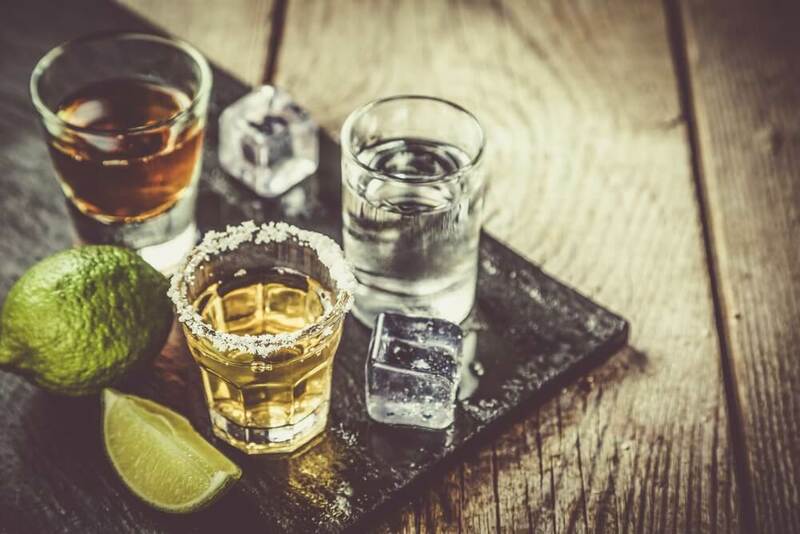 Excessive alcohol consumption: drinking alcohol increases your levels of cytokines, inflammatory molecules, responsible for excessive free radical production which leads to oxidative stress. 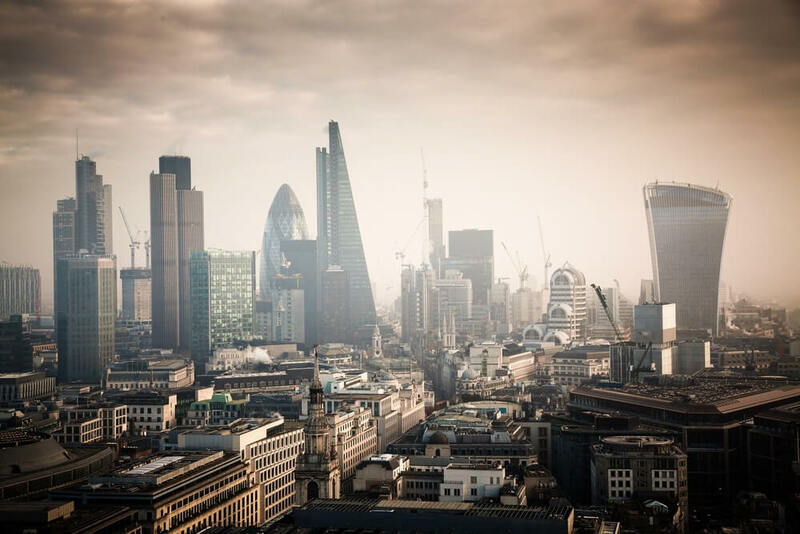 Exposure to air pollutants: industrial pollution and allergens increase oxidation in our bodies. How can I protect my skin from free radicals and prevent oxidative stress? When it comes to fighting off free radicals and oxidative stress in the skin, antioxidants are our superheroes. Antioxidants can neutralize free radicals before they touch the cell as well as stop ongoing cellular damage. There is a tricky part though – only 1% of dietary antioxidants reach the surface of the skin. To effectively protect your skin from free radical damage, you need to apply topical antioxidants. Not all topical antioxidants are created equal. Effective topical antioxidants must be stable and come in the purest form, so they can penetrate the outermost barriers and reach the interior of the cell. 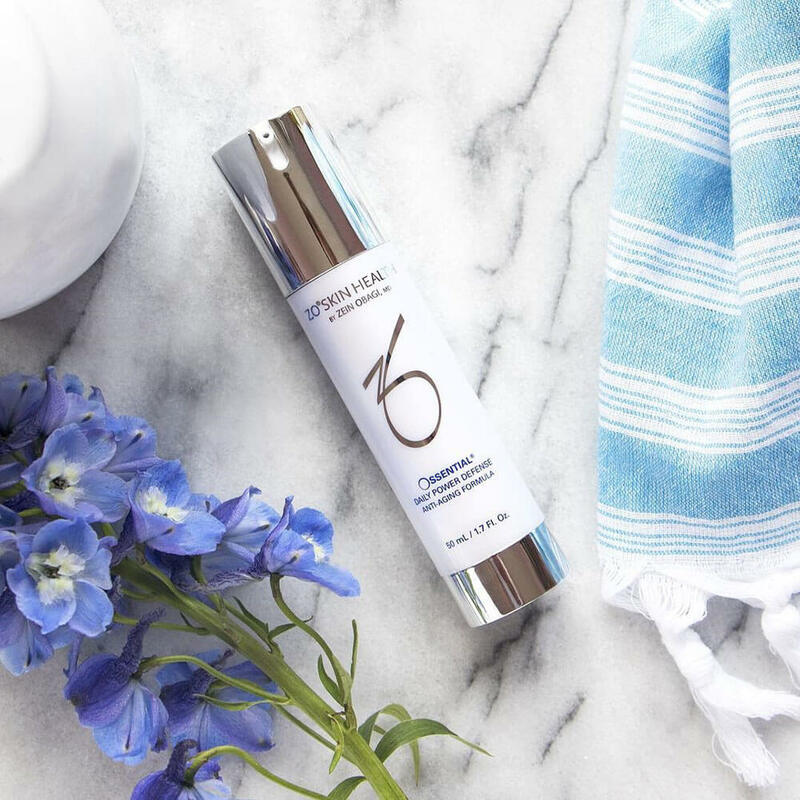 Ossential C-Bright Serum provides a potent dose of 10% pure, stabilised vitamin C that to brighten and re-texture the skin. Vitamin E and co-enzyme Q-10 protect the skin from environmental damage, while lipids and skin conditioners hydrate and support barrier restoration. 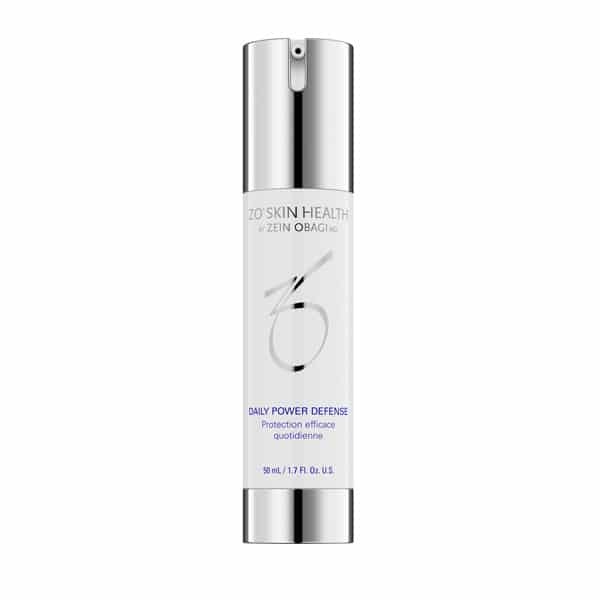 Ossential Daily Power Defense is formulated with vitamin E, enzymes and ceramides to speed up DNA repair in skin cells and protect against future oxidative damage. 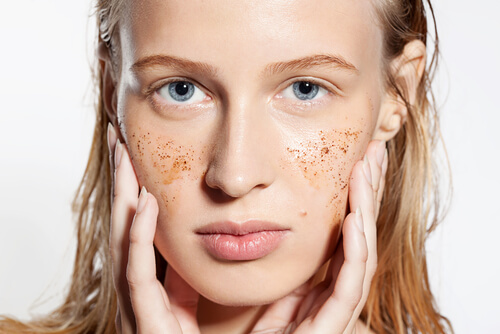 If your face shines like a disco ball, you need to give it a break from exfoliators. Light reflects off over-exfoliated skin easily, because its natural texture has been overly smoothed (yes, there is such a thing as too much smoothness). Excessive exfoliation strips your skin from its natural moisture which prompts your sebaceous glands to produce more oil to compensate for the loss of hydration. In addition, scrubbing too aggressively too often can disrupt skin’s lipid barrier and hinders its ability to protect the under-layers from bacteria and free radicals. Redness, itchiness, and puffiness are all inflammatory responses, signalling that your skin is in distress. The top layer of your epidermis acts like a shield against allergens, irritants and pollutants. When this natural exterior barrier is compromised, your skin becomes more susceptible to irritants and environmental damage. When you are over-exfoliating, you are scrubbing away healthy skin cells and lipids that help your skin retain its natural hydration levels. If your skin feels flaky and fine lines suddenly become more visible, that’s a sure sign your skin doesn’t retain sufficient moisture.